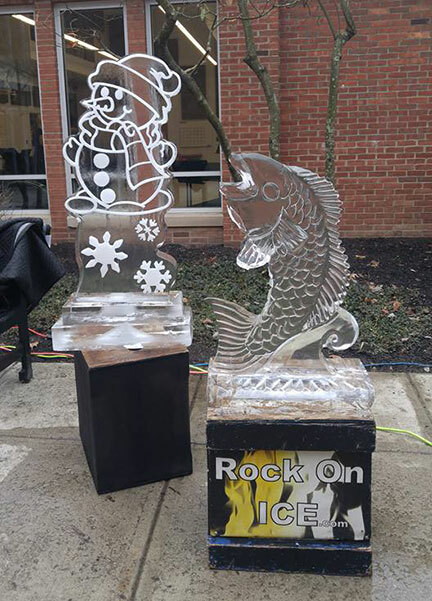 Rock On Ice blog | Welcome to the blog for Rock On Ice! 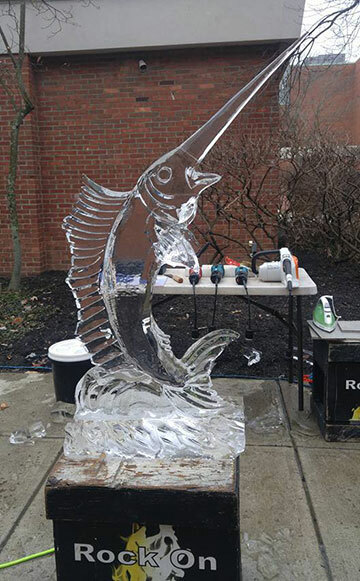 Here you will find articles about one of the most unique and artistic professions—Ice Sculpting!! It’s that time, our favorite time of year…Fall! 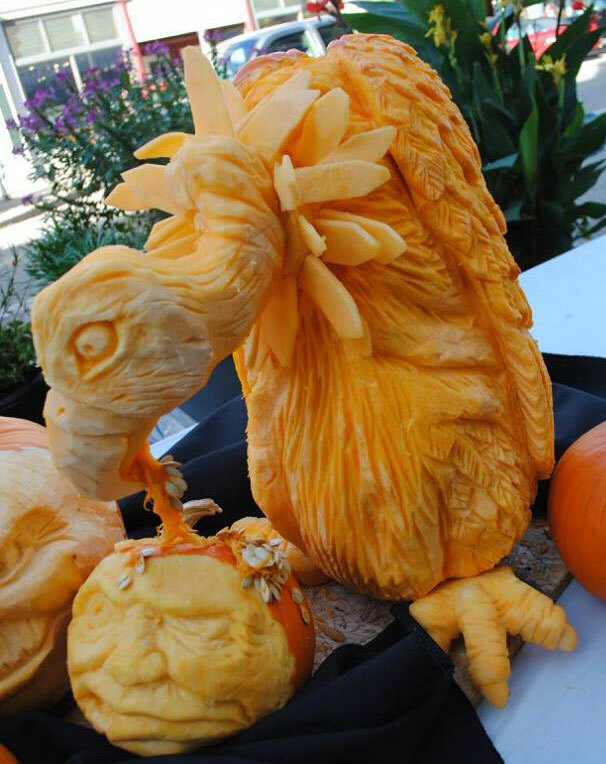 Our team of master pumpkin carvers will create some of the most amazing pumpkins and displays you will ever see! There is no limit to the imagination of our artists. During September and October we will will be busy carving pumpkins at zoos, Halloween events, schools, libraries, community festivals, and more. We will travel. 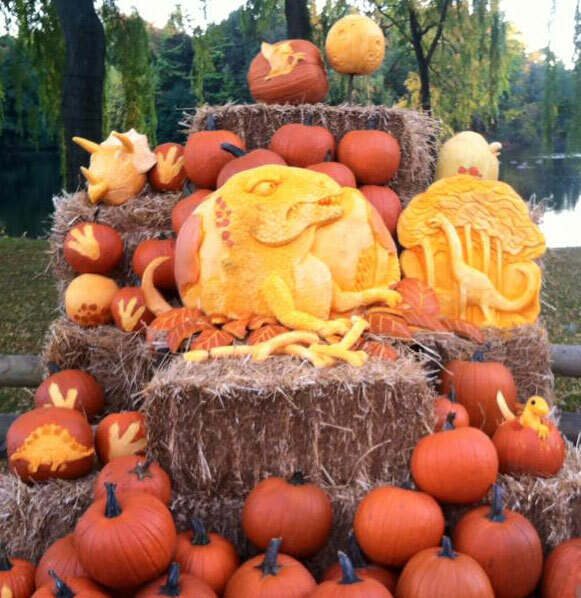 This display was carved for a zoo in Wisconsin. 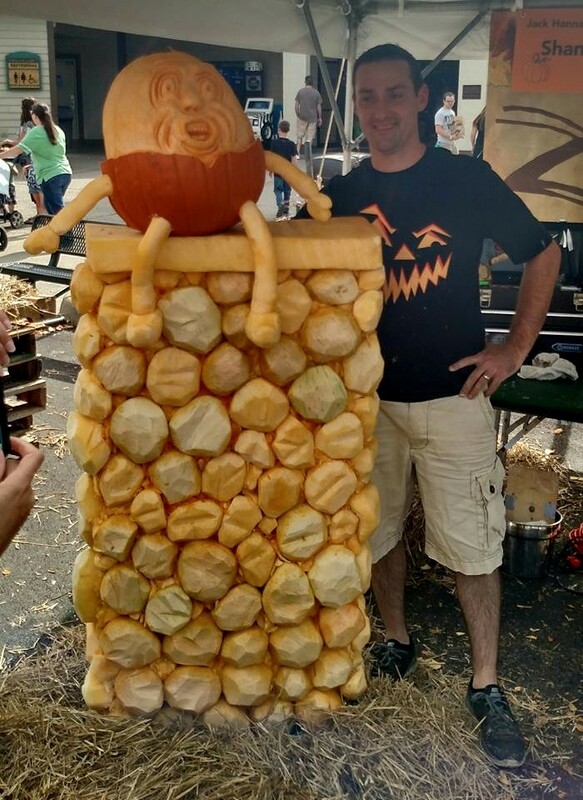 And, yes, the giraffe is all pumpkin – one 400 pound pumpkin! We call this a Masterpiece display. 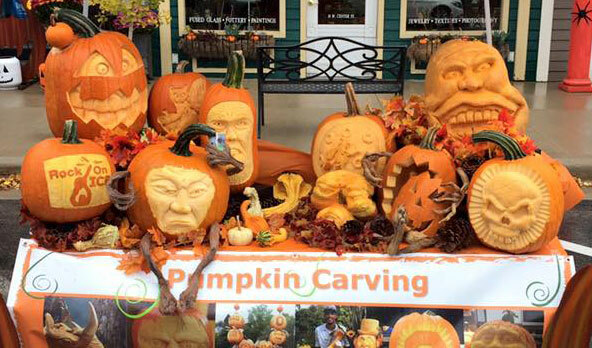 Our standard pumpkin demonstration consists of 6 or 8 carved pumpkins. 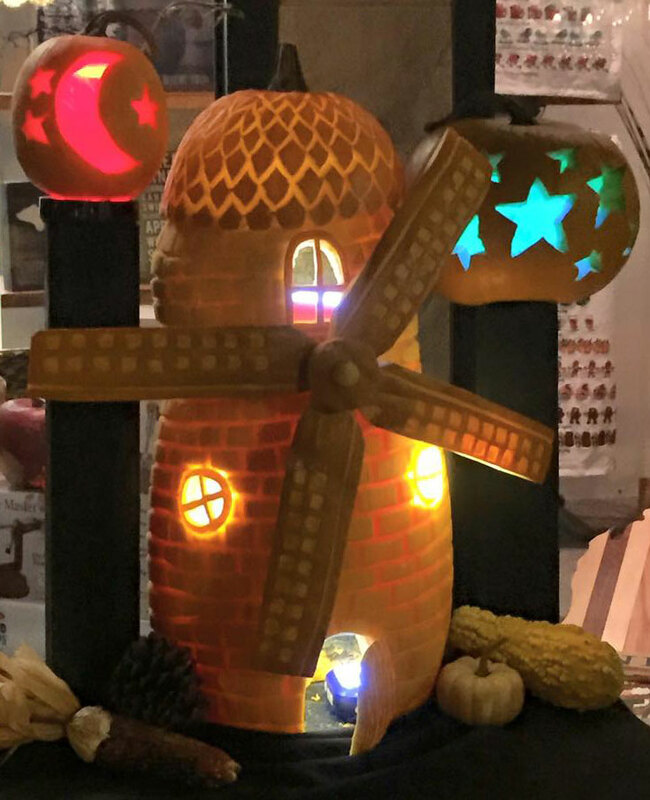 The fun part about these displays is that while our artists are carving we will talk to patrons and answer questions, so it is a great way for inquiring minds to learn more about pumpkin carving. Engaging with the audience is what it’s all about! Lighted displays are always a big hit. This owl themed display was a crowd favorite at an event in Michigan. 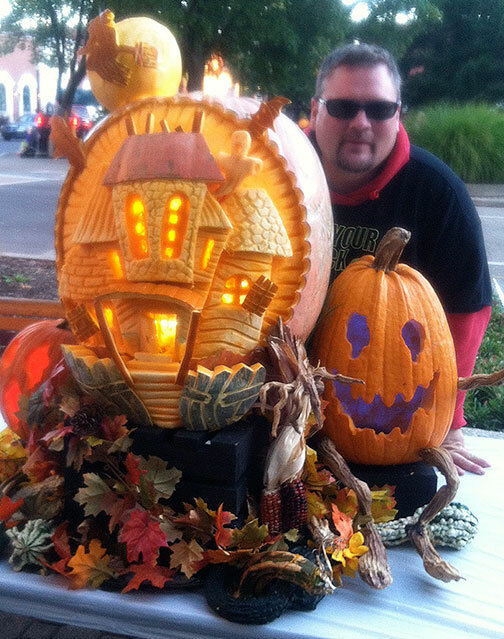 Some of our carvers take a fun approach to their displays. 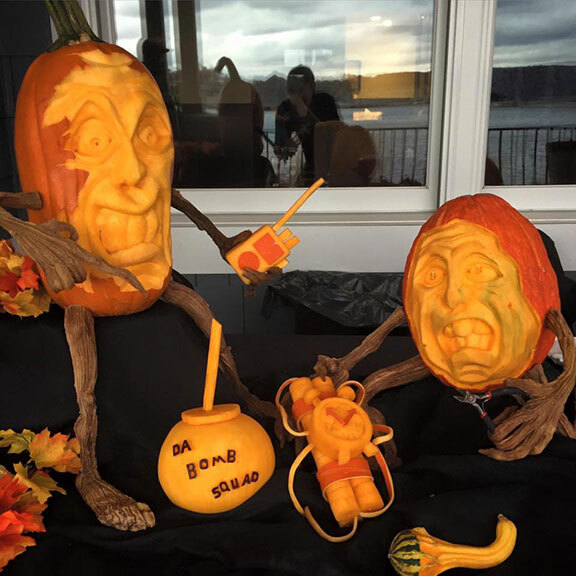 These pumpkins had a little too much to drink at Hops! 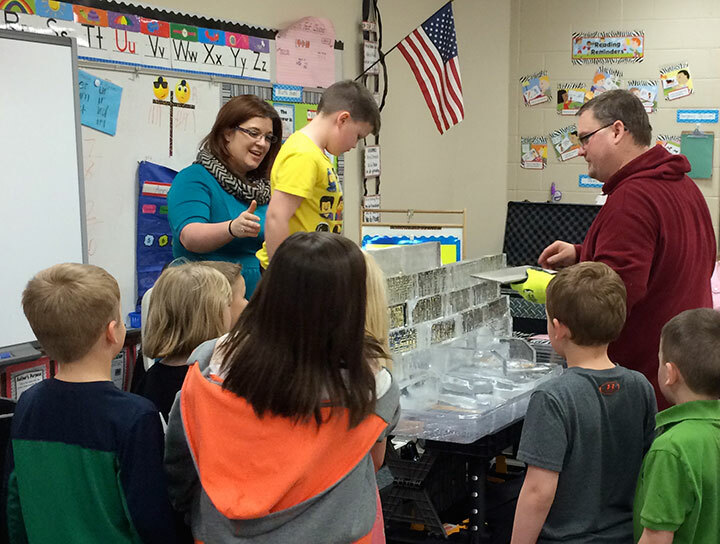 In addition to displays, we also teach classes. This was for a local library. 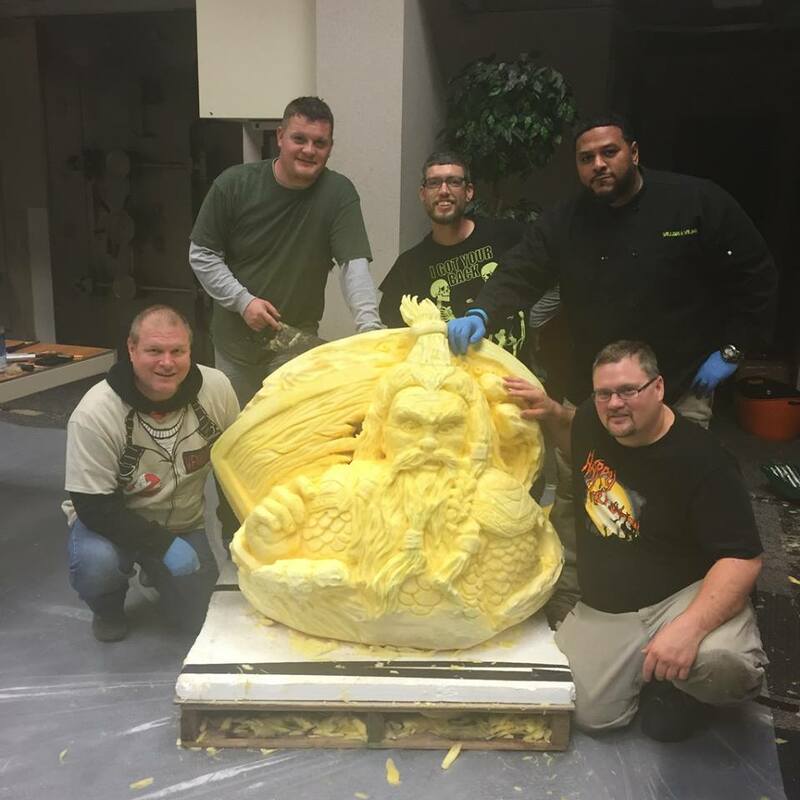 It’s a great way for amateur carvers to pick up some tips to take their pumpkin carving to the next level. Check out more pumpkin carving. 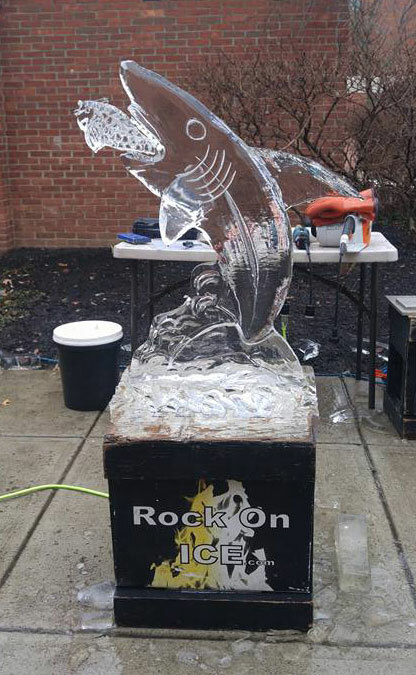 Rock On Ice can provide schools with fun, educational, interactive activities. 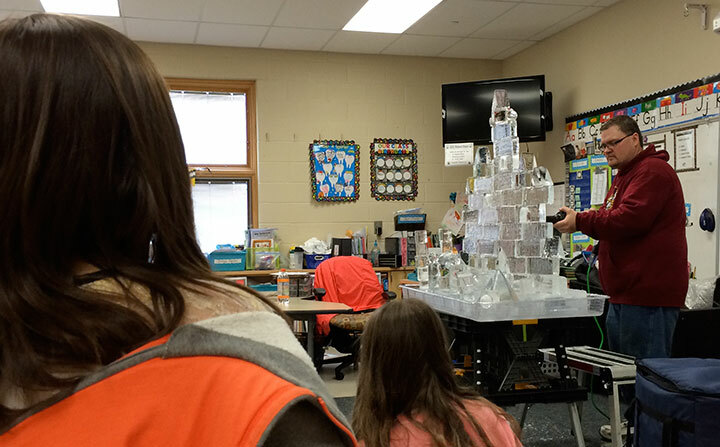 We visited General Rosecrans Elementary on two separate occasions for interactive demonstrations: soap carving a turkey, and building an ice castle wall. 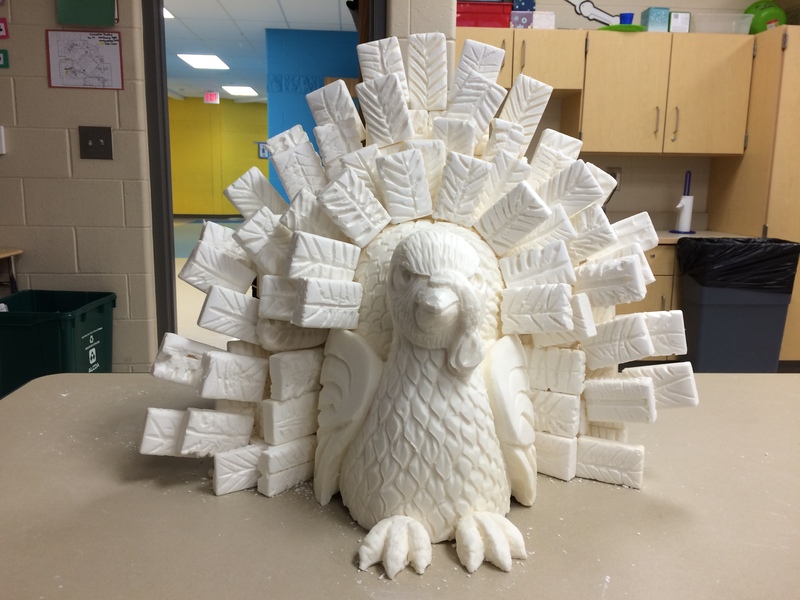 For “Pioneer Days” we used about 80 bar soaps to create this turkey carved from soap. 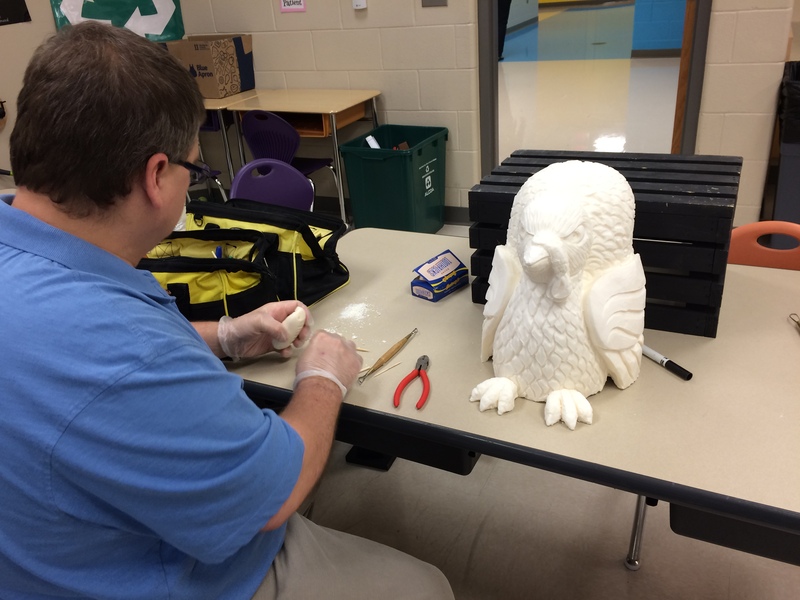 Master carver, Greg Butauski, pre-carved the head and body. 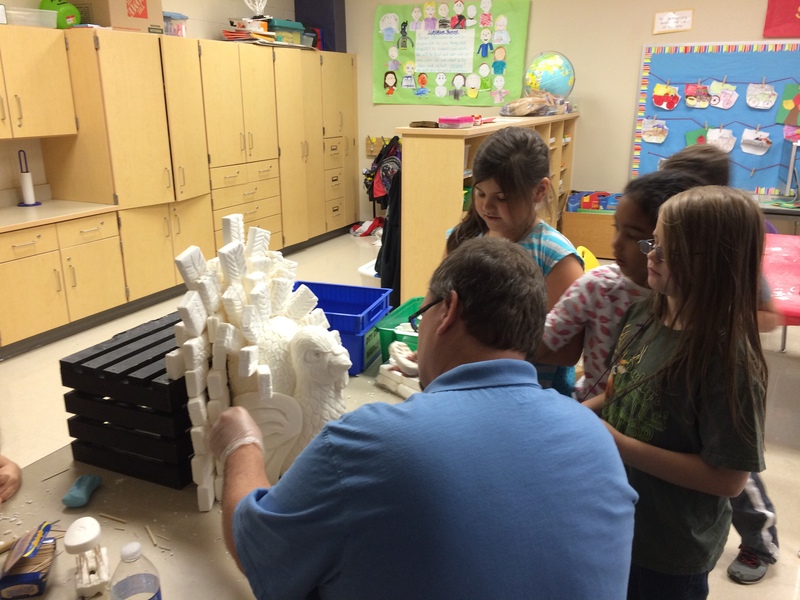 Bars of soap were carved into feathers by the students, and then were secured in place with toothpicks. 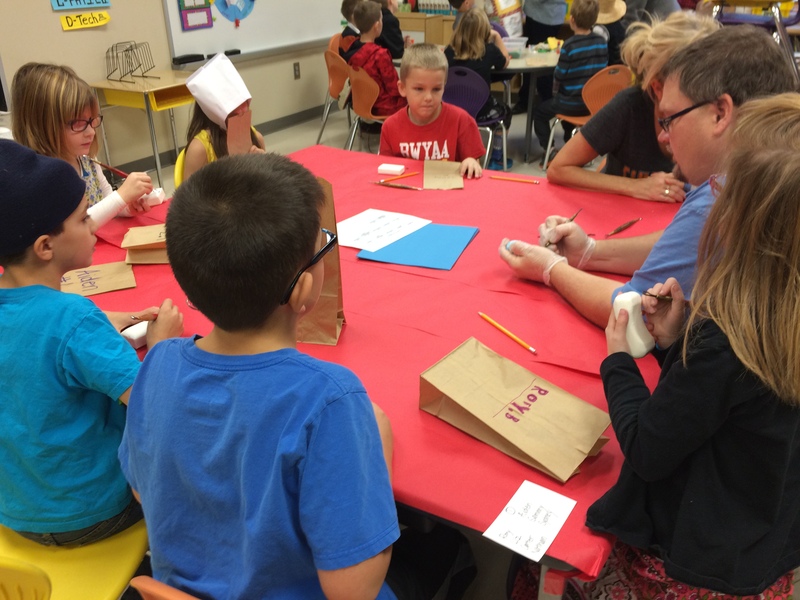 The students were very excited to get to participate in this fun, hands-on activity! Greg sculpted the body of the turkey from a 5lb. block of soap. feathers from a bar of soap. to the turkey with toothpicks. in which the whole 2nd grade class contributed. their favorite of all the activities that day! 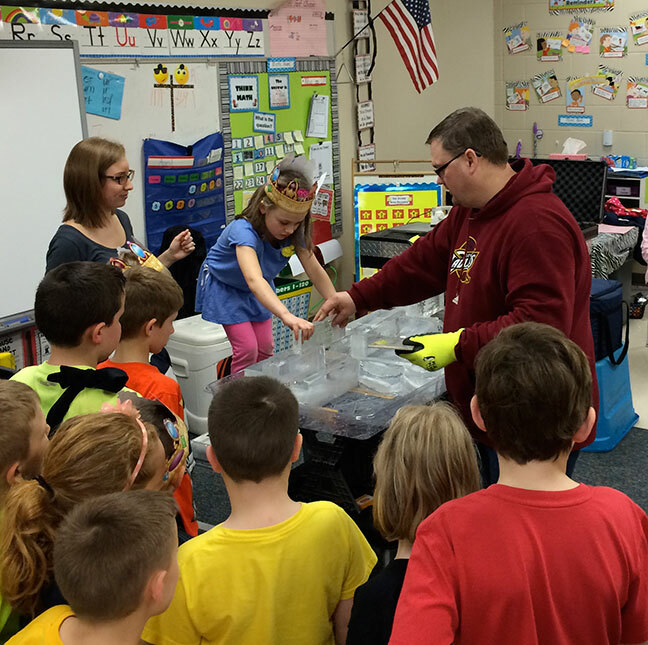 and brought in for the students. 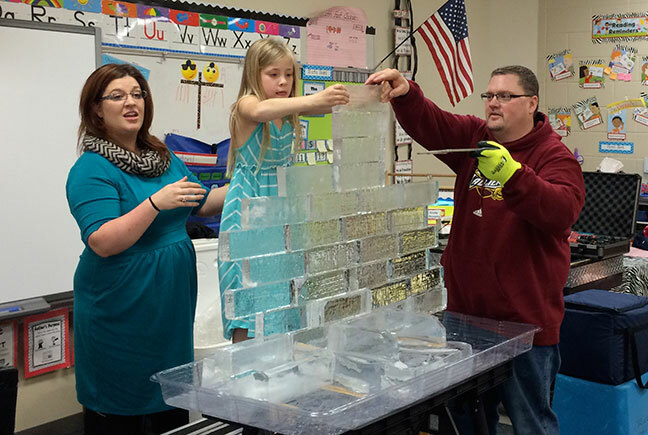 Students stack the ice blocks to build up the wall. 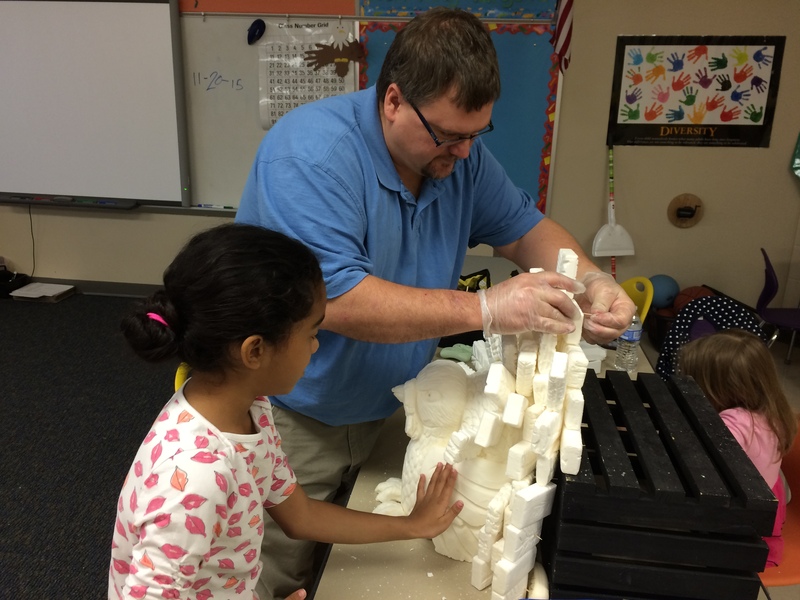 grows taller as each student gets to place their block. Greg adds some finishing touches to the wall. space such as an individual classroom.